I'm retired and have about $800,000 invested in a conservative mix of stocks and bonds. Social Security and pension payments cover my basic expenses, but I'm skittish about the market volatility and would like to have a guaranteed source of income that's not subject to the market's ups and downs. Should I put some of my savings into an immediate annuity? --J.M. At first glance, I'd say you probably don't need to put any of your savings into an immediate annuity, a type of investment that converts a lump sum into guaranteed monthly payments for life. After all, you've already got enough assured income from Social Security and your pension to cover your essential living expenses. So if you're prudent about how you tap your conservatively invested $800,000 nest egg for discretionary outlays -- say, starting with an initial withdrawal rate of 3% to 4%, subsequently adjusted for inflation each year -- you should easily be able to fund a comfortable lifestyle that extends well beyond the basics without having to worry about outliving your assets. But deciding how much of your retirement income you would like to be guaranteed isn't purely a financial issue. Emotions are involved too. Research shows that having retirement income that is guaranteed tends to make people happier in retirement. Not surprisingly, retirees report they feel more secure and are able to enjoy life more when they don't have to worry that a market setback will force them to tighten their belt. So if you believe you would feel better having even more income you can rely on regardless of how stocks and bonds are performing, then I don't see why you shouldn't get the additional comfort you seek by putting some of your nest egg into an immediate annuity. Before you do that, however, I have a few suggestions. First, go slow. Once you commit a sum to an immediate annuity in return for lifetime monthly payments, you typically no longer have access to that money for emergencies, unexpected expenses and the like. So ideally you don't want to devote any more of your savings to an annuity upfront than necessary to get the security and guaranteed income it can provide. Buying gradually will allow you to get a better handle on what your actual retirement expenses will be and thus help you more accurately gauge how much guaranteed income you really need. Tiptoeing in rather than investing all at once also reduces the chance that you'll put all your money into an annuity when interest rates -- and annuity payouts -- are at a low. You'll also want to carefully monitor withdrawals from the non-annuity portion of your savings. Why? Well, a recent study found that by being flexible about how much you draw each year from your retirement portfolio -- say, scaling back withdrawals when the market is faring poorly and spending more when stock prices are surging -- you may be able to get by while investing less in an immediate annuity than you otherwise would. The reason is that adjusting withdrawals based on market conditions lowers the odds you'll deplete your savings too soon, which means you don't have to devote as much to an annuity to avoid running short on income late in retirement. In effect, you're getting a bigger bang for your annuity buck. You can get a sense of how long your savings might last given your current withdrawal rate -- and then decide whether you should scale back or boost withdrawals -- by going every year or so to a retirement income calculator that uses Monte Carlo simulations. Finally, you might also consider getting guaranteed income from another type of annuity altogether: a longevity annuity. A longevity annuity is similar to an immediate annuity in that you hand over a portion of your savings to an insurer for the guarantee of lifetime monthly payments, but there's an important difference: even though you invest your money now, a longevity annuity doesn't begin making payments until later, often 10, 15 or even 20 years in the future. 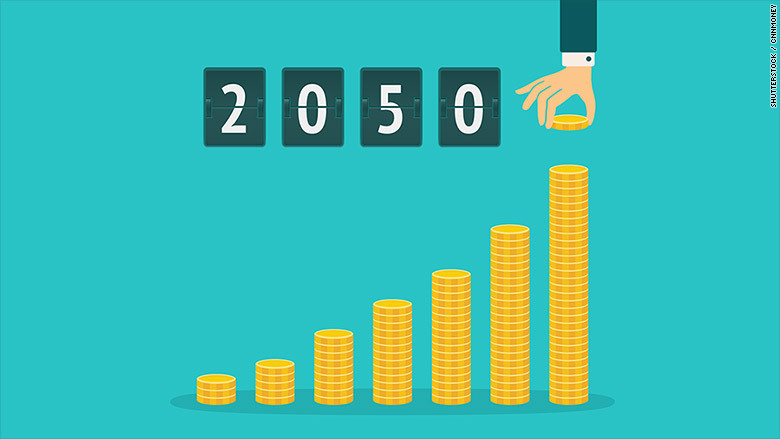 Since the payments don't start for many years -- and some buyers will die before they begin collecting payments or shortly after -- longevity annuities don't require you to pony up as much money upfront to lock in a sizable income stream down the road. For example, a 65-year-old man who invests $100,000 in an immediate annuity would receive payments of about $565 a month for life. A woman the same age would receive less, or roughly $535 a month, since she has a longer life expectancy. By contrast, if the same 65-year-olds put half that amount, or $50,000, into a longevity that holds off making payments until age 80, the man would receive a lifetime payment of roughly $1,145 a month and the woman would get about $980 monthly. Of course, a longevity annuity wouldn't be a viable option if you're convinced you won't live long enough to collect that future income or if you really need the income now. But simply knowing that you'll have extra guaranteed income in the future could help you feel less threatened by the market's ups and downs. If that's the case, then buying a longevity annuity might be a way for you to allay your skittishness about the market, while also allowing you to hold onto more of your nest egg. If you buy a longevity annuity within a 401(k), IRA or similar account, make sure you invest in one that's been designated a QLAC, or Qualified Longevity Annuity Contract. Assuming you do that, you can invest as much as $125,000 or 25% of your 401(k) or IRA account balance (whichever is less) and not have to include the cost of the QLAC in calculating RMDs, or the required minimum distributions you generally must start taking from retirement accounts beginning at age 70 1/2. If you do decide to put a portion of your savings into an immediate annuity or a longevity annuity, you'll want to do some comparison shopping before you actually invest. You can check out quotes from several insurers by going to a site like ImmediateAnnuities.com. Don't automatically go with the company that offers the highest monthly payout, however. You're depending on the insurer's ability to make those payments decades into the future even if the economy and financial markets tank. So you want to buy from an insurer that gets high financial strength rating -- say, A+ or better -- from ratings firms like Standard & Poor's and A.M. Best. Finally, consider spreading your money among two or more highly rated insurers and limiting the amount you invest with any single insurer to no more than the amount covered by your state insurance guaranty association. Those two final steps will give you an extra margin of safety, insuring that the guaranteed income you've bought will be there when you need it.